Minneapolis from space: Here's the view today of Minneapolis from the International Space Station.Courtesy Kjell LindgrenIt's not uncommon to see the International Space Station fly over the Twin Cities. You just need the proper time and coordinates. But what does Minneapolis look like from way up there? 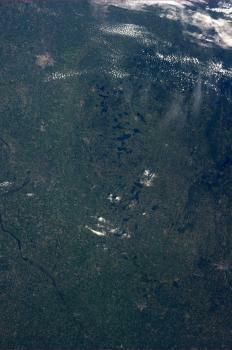 Astronaut Kjell Lindgren tweeted this view of his former stomping grounds. Here's the link to his tweet. Minnesota from space: Astronaut Karen Nyberg has included an image of her Minnesota hometown of Battle Lake to her gallery of photos from space as she works on the International Space Station.Courtesy Karen NybergIt's summer. You're toiling away at work while friends are out traveling, posting images of their fun and exotic discoveries on social media. But they can't beat Minnesota-native astronaut Karen Nyberg. From her perch aboard the International Space Station, she's created an extensive gallery of images from space including this image of Minnesota that includes her hometown of Battle Lake. There are come very artistic displays of global weather activities in these photos. Wheeeeeee! : I'm a computer generated mockup, but I feel like I'm flyiinggggggg!Courtesy FlyingSingerThe Flight of Dragons? Anyone? Anyone? 1982 Rankin/Bass? I don't know. I thought it was pretty dope when I was 5, but I felt that way about a lot of stuff. You'll know if everything went off without a hitch, because your life will be changed forever, or something. The ATV-2: The astronauts filled it with trash, and then burned it. But, to be fair, they probably ate that trash several times before they finally tossed it.Courtesy NASAI am adding a’s to the end of words to make them sound a little like “NASA.” Try it. It’s funa. Anywaya, I thought I’d run a little idea I had by y’all. I got trash. Who doesn’t? You use stuff, you make trash, and it just piles up. Under your couch, in the freezer, on top of the cat … what are you supposed to do with it? Put it on the curb? I guess, but what’s exciting and easy about that? So, my idea—which I got from the world’s various space agencies—is to take my trasha up to the roofa of my apartment building (three stories!!) and just drop it. If I’m at all accurate in my understanding of acceleration and atmospheric friction, all those Sears catalogues, plastic cups, and mouse skeletons should burn up before they hit the ground. I mean, it’s what NASA, the European Space Agency and all of their ilk do, and it seems to work for them. 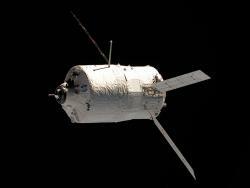 Take the ESA’s recently launched ATV-3 (Automated Transfer Vehicle-3). The large, unmanned space capsule will deliver about 7 tons of cargo to the International Space Station (a few hundred pounds of food, water and oxygen, and about 6.5 tons of candy), stay docked for 4 to 6 month while the astronauts use it like a missing roommate’s walk-in closet, and then, once it’s completely full of trash, it will detach, fall towards Earth, and incinerate in the atmosphere. Easy peasy. Easya peasya. 2)	Think about the fuel it takes to get those tons of junk into space. You’re worried about the waste that happens after that? 3)	Wrong! In a lot of respects, astronauts on the ISS are the best recyclers in the histories of re and cycling. See, here’s the thing about #3: astronauts may dump their candy wrappers, dead pets, banana peels and old undies (JK, they wear those undies for months) into a fiery and unforgiving atmosphere, but there’s a lot of stuff that they re-use again and again that you’d never even think of. Air, for one. And water. 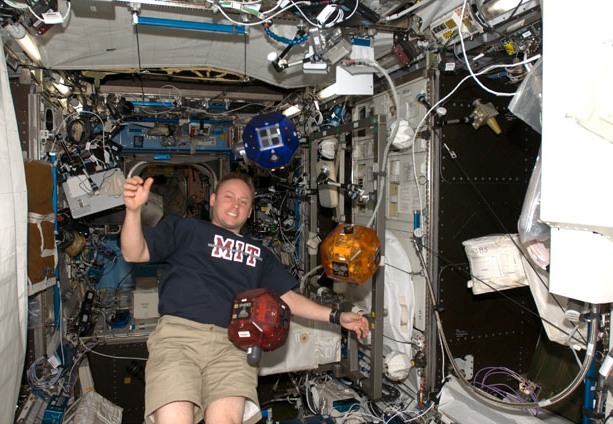 When you’re breathing, farting, sweating and peeing for months on end in an airtight box floating in space, and a fresh glass of water costs between $10,000 and $15,000 for delivery, you have to be clever. And the engineers of the ISS are clever! Consider the Environmental Control and Life Support System. Astronauts, like most of us, breath out poisonous carbon dioxide, fart out poisonous methane and sweat out poisonous ammonia. ECLSS filters out all of that to produce fresh air again. The system also splits water molecules apart to create breathable oxygen, and reclaims moisture from urine and other waist to produce more water for drinking (or ultimately breathing). I don’t know about you, but I rarely save my farts, sweat, breath and urine, much less reuse them. All things considered, I think the ISS has a pretty sweet setup figured out. A two hundred and fifty mile trash drop-n-burn (awesome), and a system that can recycle pretty much anything that comes out of your body (also awesome). The rest of us should be so luckya. A Dragon on the Space Station! This is not real: But it will be. 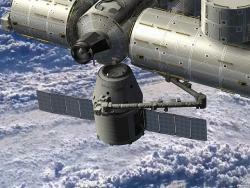 This is an artist's rendering of the Dragon spacecraft delivering cargo to the ISS. (Dragon is the little winged cylinder and truncated cone. )Courtesy NASANot a real dragon, of course. I mean, that would be awesome—just picture it, trying to fly around up there, starting things on fire and eating up all the astronaut food—but actual non-alien monsters in space never work out the way you would hope. Don’t believe me? I present to you exhibits A and B: Jason X and Leprechaun 4: Leprechaun in Space. Jason and Leprechaun were really out of place up there. Sure, they did a lot of damage, but so did I on Labor Day weekend. It’s just a lot of confusion and flailing—nothing to get very excited about. No, the dragon I’m referring to perhaps is something to get excited about. It depends on what sort of things get you worked up, but seeing as how this dragon, or Dragon, is a spaceship, I think I can put some good money on somebody out there getting excited. A spaceship! Before this billionaire gets to take out the First Daughter, however, it has to complete safety checks and a flyby of the ISS (like making sure the kid is dressed appropriately, doesn’t smell of cognac, and doesn’t crash into the Whitehouse’s garage door). Assuming everything checks out ok, the ISS will use its huge robotic arm to grapple the Dragon, and connect it to one of its modules, where the dragon can unload its cargo. Sort of like the president’s daughter using her giant, cybernetic arm to … actually, let’s abandon this analogy. The point is that for the first time a ship that doesn’t belong to the US or Russian government (or any government) will hook up with the ISS, ushering in a new era of Earth to orbit transportation, etc. As I understand it, the plan was originally to do three launches—the initial one, where Dragon was shot into orbit, and then recovered; a second one that would include a flyby of the ISS and a test of Dragon’s onboard systems, and then finally the launch that would have it connect with the ISS. However, it looks like NASA and SpaceX have decided to combine the second and third missions. Dragon will be launched on February 7, 2012, and if the flyby and system tests go well, it will dock with the ISS on the same trip. It will not be carrying any passengers on that launch, but—assuming everything goes well—that’s in the plans for future flights. And there will be future flights. In fact, NASA has a $1.6 billion contract with SpaceX, requiring SpaceX to provide them with at least 12 resupply flights to the ISS. Any thoughts, Buzzketeers? 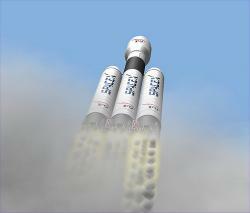 What about commercial spaceflight? What about commercial spaceflight replacing government-run spaceflight? And how do you feel about dragons? 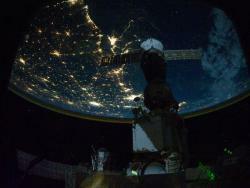 The International Space Station recently recorded a video of aurora borealis from its orbit high above the earth. Watch the video here, and read about it here. After many setbacks due to weather, the Space Ship Atlantis launched Friday morning. It will be the closing flight in the space shuttle program. It was a difficult moment for many connected with the program. The end of the program will open the door for a new chapter in NASA's investigation of space. Resource for this article - Space Shuttle Atlantis lifts off on its final mission by Newsytype.com. The Atlantis left Friday morning at 10:29 EDT from Cape Canaveral, Fla., after delaying it for many days due to bad climate. The shuttle beat the odds as there was only a 30 percent chance it would occur today. The delay was very slight. The retractable arm on the launch pad had a problem causing a two minute delay to take place. It was not a terrible problem. It brought on no danger. "This is the start of a sentimental journey into history," a NASA commentator said. "Atlantis is flexing its muscles one final time." STS-135, the mission, is going to be the last of the 30 year program making it the 33rd trip. The International Space Station is to be restocked with all the equipment and supplies it needs with the 13-day mission. Russian space crafts will be used to get to the space station in the future. Experts predict that commercial ventures will handle the duty in a decade or so. The equipment being taken to space should be able to tell how programs and humans interact in space through experiments. Robots will become more and more essential the further they are in space, NASA believes. One piece of equipment is meant to see if satellites can be refueled by robots in outer space. This piece of equipment is the size of a washing machine. "What have we learned in robotics in 30 years? This is it. It's all led up to this," said Brian Roberts, a robotics expert at NASA's Goddard Space Flight Center. "We've practiced on the ground, but we need to see how this would work floating around in space. ... We'll learn a lot of what works well and what doesn't work. We're trying to show the capabilities of robots and their abilities to do these tasks." With Mission STS-135, there will be new technology. An iPhone is going to be brought to the space station. It's going to be used to track experiment outcomes with an app. The app could help with space navigation also. "This is not the end of human spaceflight," said NASA's Chief Technologist Bobby Braun via Twitter. "It is not even the beginning of the end. But it is, perhaps, the end of the beginning." There will be a plan for the Dawn spacecraft later this month. The asteroid Vesta will be orbited. Next month, another craft named Juno will lift off. It is going to Jupiter to study how forces work on larger planets in our system. In order to try and choose the size and composition of the core of the moon, the Gravity Recovery and Interior laboratory (GRAIL) mission will launch in Sept. The crew of the Space Shuttle Discovery recently received a “wake-up call” from “Captain Kirk” of the “Star Trek” series. NASA piped in the opening theme from the original “Star Trek” series. It came complete with a custom monologue read by William Shatner, who played the legendary character in the series. However, the quest is a bittersweet one for the team. This is the final trip for Discovery. 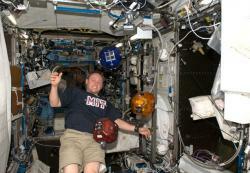 Source of article - Space shuttle crew gets wake-up call from Captain Kirk by Newsytype.com. "Space, the final frontier. These have been the voyages of the Space Shuttle Discovery. Her 30 year mission: to seek out new science. To build new outposts. To bring nations together in the final frontier. To boldly go, and do, what no spacecraft has done before." The “wake up call” for astronauts is a song picked by the public. A NASA tune competition is done to pick this. Almost every NASA quest in history has had a “wake up” tune played. Generally the NASA officials or family members of the astronauts picked the songs out though. Original music was submitted while people could also vote on popular songs when the voting started many years back. Versions of the “Star Trek” monologue were submitted by bother William Shatner and Patrick Stewart while the “Star Trek” theme has been really important to many. There has already been voting for the next quest. On April 19, the STS-134 will launch. This is the last quest in space for the Shuttle Discovery. Discovery and the team of Shuttle Quest STS-133 will land at Cape Canaveral on Wed, March 9, and the spacecraft can be retired. Two final shuttle missions are scheduled for April and July, in accordance with the Washington Times, that could be the final flights of the Endeavour and the Atlantis, respectively. While NASA works on other spacecrafts, the space flight will only be done with “space ferry” crafts that private businesses build and operate after the shuttles are done. Decade: From 220 miles above Earth, crew aboard the ISS shot this image of the northern Gulf coast. The cities of Mobile, New Orleans and Houston are visible as the view moves southeastward. The Interstate Highway 20 cities of Jackson, Shreveport, Dallas and Fort Worth are also visible further inland. The view extends northward (left) to Little Rock and Oklahoma City.Courtesy NASAPretty amazing to think that since November 2, 2000, humans have lived and worked in space continuously on board the International Space Station (ISS). Cronstruction of the station in orbit began in 1998 and is scheduled for completion by late 2011. The station is expected to remain in operation until at least 2015, and likely 2020. What to see where the ISS is now? Track it here. You may have to pull out on the map to see where it is in its orbit.